For over 40 years, Academy Mechanical Services Inc. has provided award-winning repairs, services, and installations of boilers in Edmonton and the surrounding areas. We work with both watertube- and steam-based boilers to bring warmth and comfort to each room of your home or business. Through our boiler water treatment services, we can ensure your boiler continues to produce high-quality steam and efficiently exchanges heat. Water treatments also restore alkalinity to the water supply, preventing corrosion and other limiting factors. If it’s been a while since your boiler has been serviced, call the professionals at Academy Mechanical Services Inc! We service and install boilers in Edmonton, Spruce Grove, as well as the surrounding communities. 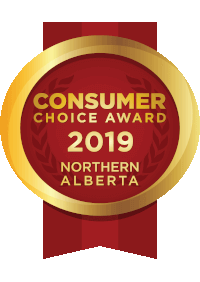 If you need a boiler installed, serviced or repaired in Edmonton, Spruce Grove and surrounding areas, turn to the award-winning team at Academy Mechanical Services Inc. We’re proud of our recognition as the Consumer Choice Award winner for boiler service and repair in 2011 through 2019. Our fully-licensed boiler service technicians will exceed your expectations with expert service that is focused on safety. Through routine maintenance and cleaning, we can keep your boiler operating efficiently and reduce your risk for future breakdowns. Our experienced Edmonton gas fitters are capable of working with all types of commercial and residential gas appliances. For boiler service you can trust, turn to Academy Mechanical Services.